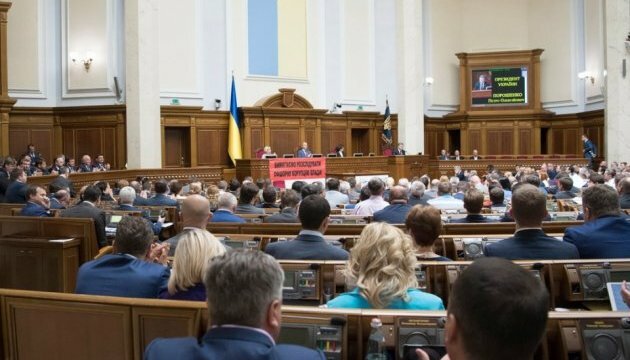 Ukrainian President Petro Poroshenko has filed a motion to the Verkhovna Rada on the dismissal of 12 members of the Central Electoral Commission (CEC) and the appointment of only 11 members because of the difficult process of renewing staff of the CEC. Artur Herasymov, the presidential representative in the Verkhovna Rada, said this at a briefing in Kyiv on Tuesday, an Ukrinform correspondent reports. “This means that the process is difficult, and it has still not been completed. Consultations are under way, and the President of Ukraine is open to dialog with all parliamentary forces,” Herasymov said.